Australia’s household debt is among the highest in the world and rising, thanks largely to worsening housing affordability and plentiful consumer credit. So how do we measure up and should we be worried? Debt is not necessarily bad if it’s used to grow wealth and you have enough income to service your loans. After all, borrowing to buy a home has been the cornerstone of wealth creation and financial security for generations of Australians. Borrowing to invest in assets such as shares and property that repay you over the long term, rather than the reverse, is also regarded as good debt. Bad debt arises when you borrow to pay for things that don’t provide a financial return and that you probably couldn’t otherwise afford, such as that overseas holiday you paid for with your credit card. Unless you can afford to repay the debt in full when you get home, the debt can blow out and linger for years. 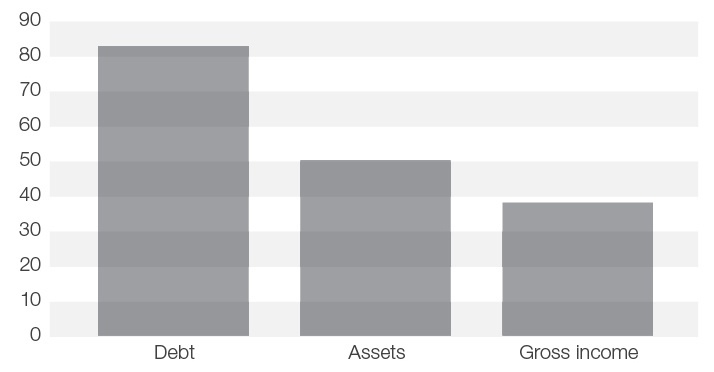 Most people take on debt in the expectation that the assets they buy will grow in value and their income will increase over time, reducing their debt burden. But what if these expectations aren’t met? Australian household debt has increased by 83 per cent in a decade, but our incomes aren’t keeping up. Over the same period average household income increased just 38 per cent.iiWages growth has been stuck at or near 20-year lows since 2015. It’s currently tracking at around 2.1 per cent, barely above inflation of 1.9 per cent and half what it was a decade ago. Australian Bureau of Statistics. © Commonwealth of Australia 2017. *Data from 2003-04 is in 2015-16 dollars, adjusted using the Consumer Price Index. Households are generally considered to be under financial stress when their mortgage repayments or rent account for more than 30 per cent of their income. In the December 2017 quarter, it took 31.6 per cent of the median family income to meet average loan repayments and 25.8 of median income for median rent payments.iiiAnd despite a cooling property market, housing affordability continues to worsen. Despite this, most of us muddle through, paying our bills and trying to save a little extra to get ahead. But even good debt can turn bad if you’re not careful or your finances take a turn for the worse. Households with high debt are more vulnerable to financial setbacks such as unemployment or a large fall in house prices that could leave them owing more than their property is worth. In a recent speech, Reserve Bank Assistant Governor, Michele Bullock said the more debt households have the more sensitive their cash flow is likely to be when interest rates begin to rise, which is tipped to be within the next 12 months. So while interest rates remain low, now is the time to take control of your finances and get on top of debt. Complete a budget. Add up all income and expenditure for the past year. If you haven’t been keeping track of spending, make an estimate using your bank and credit card statements. Make a plan. Using your budget estimate, work out how much income you have left each month to reduce your debts. If you have several credit cards and personal loans, concentrate on paying off the debt with the highest interest rate and highest balance first, and when that’s repaid in full move onto the next highest. Look at the interest rate on your home loan, negotiate a lower rate with your lender or switch providers. Consolidate your debts. You might also consider consolidating ‘bad’ debts into one account after shopping around for the lowest interest rate. You may also be able to buy some time with a zero interest balance transfer credit card, but make sure you repay the amount outstanding in full by the due date when normal market interest rates resume. Australia’s household debt may be high by global standards, but that only becomes a problem if you are struggling to meet repayments or sinking good money into bad debts. 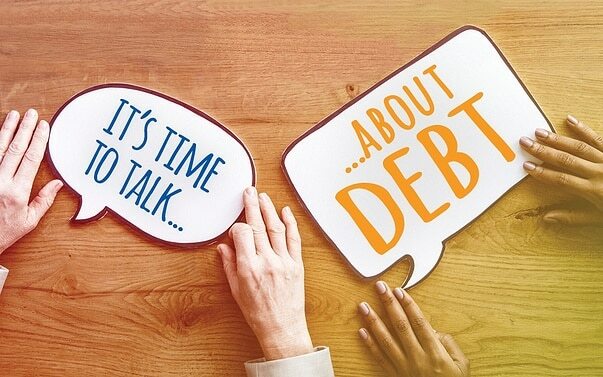 If you would like to discuss a debt reduction strategy, don’t hesitate to call. iii Adelaide Bank/REIA Housing Affordability Report, December 2017 edition, released 6 March 2018.